This week I am focusing on editing a book proof so it can go off to the printer, sending off samples for photography for an upcoming book with Baah Yarn, readying the Zen Yarn Garden book for graphic design (so close to being ready!) and catching up with my very long to do list. It just hit me this weekend that I will have four collections/books released in 2013. I think I need a nap or at least a lie down. 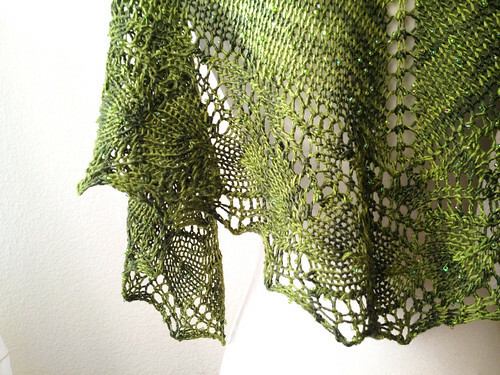 The shawl above is knit with two skeins of Beaded Plie by Tilli Tomas and will be coming soon in kit form.